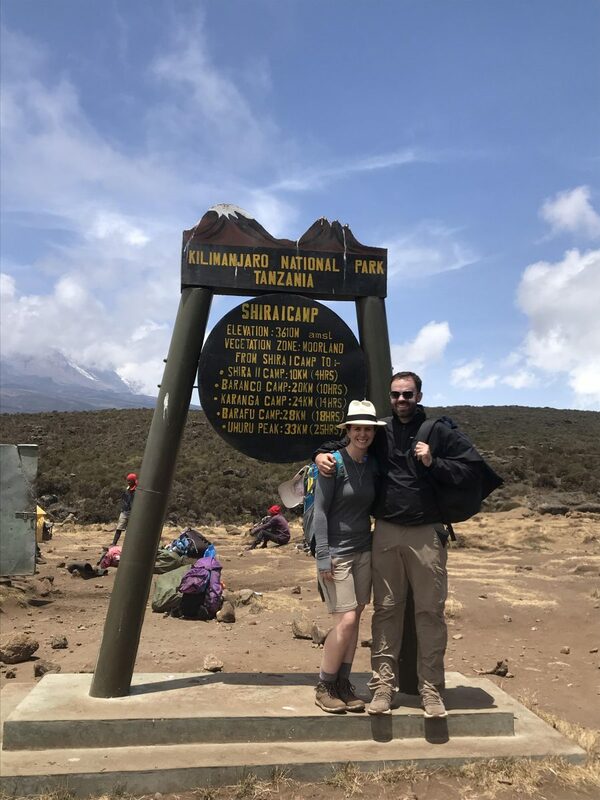 Lauren Anders Brown and Dr Ed Fitzgerald met at Lifebox® while Lauren was working on ‘The Checklist Effect,’ an award-winning documentary showing how the Surgical Safety Checklist makes surgery safer around the world. Inspired by their colleagues abroad who move mountains every day to provide their patients with safe surgery, they have taken on a challenge of their own—climbing the 5895 metre (19,341 ft) Mount Kilimanjaro, Africa’s highest peak—to raise life-saving funds for safer surgery and anesthesia globally. We caught up with them to find out more. How did you become passionate about promoting safe surgery and anesthesia? [EF] Five years ago this month I was fortunate start a Fellowship with the Lifebox Foundation, working to improve patient safety in global surgery and anesthesia across a number of low-income countries. This was a unique opportunity to learn about the gap in safe perioperative care globally, but also a chance to do something practical to help. My fieldwork in Sub-Saharan Africa concentrated largely on implementing the WHO surgical safety checklist, but it was impossible not to be struck by the overwhelming need to lift the whole perioperative care system. The benefits for patients are clear, but an important driver has also been our surgical and anaesthetic colleagues working in these environments, struggling to do their best for patients in such challenging settings. They are the real unsung heroes in this work. What inspired you to support Lifebox’s work worldwide? [LAB] When I learned that five billion people worldwide do not have access to safe surgery and anesthesia it made me wonder out of the seven billion people in the world which category I fell into? I’d already had surgery once in my life, and statistically I’ll most likely need it again at some point. So I couldn’t turn down the opportunity to make a documentary about a universal issue that could help inspire others to make a change to those numbers. I’m pleased ‘The Checklist Effect’ has been so successful in shining a light onto what has historically been a neglected area of global health. Through your experiences working with Lifebox, you’ve both had the opportunity to witness Checklist implementation in low-resource settings firsthand. How has the Checklist helped to transform surgery for Lifebox partners? [EF] I’ve often said that awareness around perioperative safety is higher than you might imagine in low-income settings, given the frequency of preventable patient harm witnessed by staff. I once asked a classroom full of surgeons in a Sub-Saharan hospital who had seen a retained swab, sharp or instrument and almost everyone put their hand up. So the need to improve is well-known, and it’s often the means to do this that is missing. The WHO surgical safety checklist helps provide the focus. But it’s important to remember that it isn’t just the list of checks itself that delivers change, it’s working with the whole operating room team to train in its use for safer surgery, adapting it to their workflow, and customizing the wording and order so that there’s local ownership of something that works for them. Without these vital steps the real benefits won’t be seen, and any short-term improvement won’t be sustained. What motivated you to take on the challenge of summiting Africa’s highest peak? [LAB] Africa has played an important part in my life over the last eight years, from my very first visit to South Africa in 2010 where I initially became inspired to begin my documentary work. Since then, I have visited and filmed in 11 countries on the continent with Tanzania being the latest. 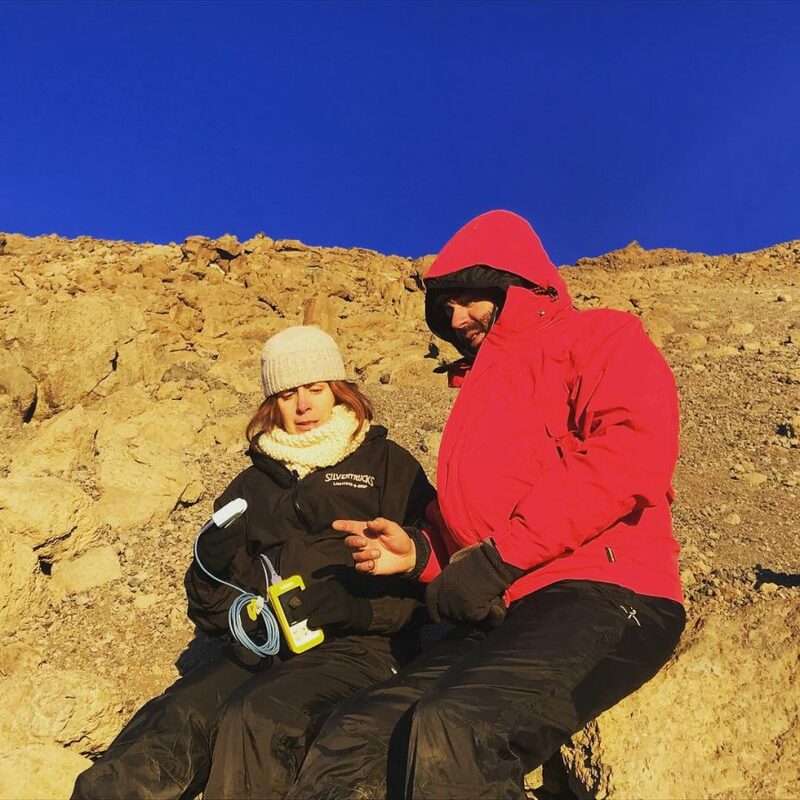 It seemed like a fitting place to try and summit the highest mountain I’ve ever climbed, and raise some vital funds for Lifebox in the process. Plus, I love birthdays and it seemed a great way to celebrate Ed’s Birthday together! What do you see as the major challenges that remain in delivering safe surgical care worldwide? [EF] There’s no doubt that profound challenges remain around anesthetic and surgical access, quality and safety in low-income settings. Still, I am increasingly optimistic about the future, and in fact I don’t think there’s ever been a better time to work in this field. ‘Global surgery’ didn’t exist as an interest area when I started my Fellowship with Lifebox 5 years ago. Since then we’ve seen a huge shift in the recognition of surgery and anaesthesia as an essential component of global health. Initiatives such as our GlobalSurg project have demonstrated how surgical communities can come together globally to highlight the variation in resources and outcomes. I’m confident that in years to come we will have delivered an even greater impact on improving perioperative surgical and anaesthetic safety for the patients and providers who stand to benefit the most. What do you hope to inspire in others through your journey? [LAB] There’s a saying the guides tell you while on Kilimanjaro, ‘pole pole,’ it means slowly slowly. It is by climbing the mountain ‘pole pole’, not by pushing, rushing, or fighting to the top, that you will have the most chance to get there. I think the same can be said for delivering safe surgery worldwide, it’s a journey best thought of as being ‘pole pole.’ Every little step or contribution helps get us a bit closer to the top, and I hope this inspires others to donate to our fundraiser or even start their own to help Lifebox continue the slow but steady journey of working towards a world where anyone can enter a hospital anywhere and receive safe surgical and anaesthesia care.